The picturesque landscapes of Gilly's home counties of Worcestershire and Herefordshire, and the vibrant colours and dazzling light of the Ionian islands of Greece, provide her with material which enables her to capture the beauty of her surroundings. Gilly was born in Leeds and spent her early life in the Malvern area. After gaining A level Art and A level English at school, she studied painting and ceramics at Cheltenham Teacher Training College. Her married life has been spent in Colwall where she taught at the Downs Junior School for seventeen years. 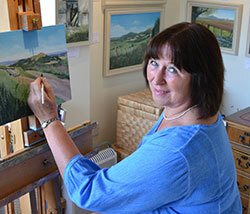 Since retiring, Gilly has been able to pursue her love of painting in oils. Her mentor is the well-known artist Eric Bottomley GRA who has given her "the confidence and inspiration" to further her painting career. 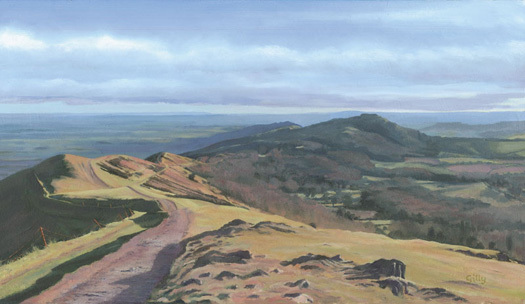 Studio visits can be arranged by telephone and Gilly’s work can also be seen at ‘Malvern Picture Framing ‘ 32a Belle Vue Terrace, Great Malvern and The Malvern Tourist Information Centre, Great Malvern.